Dr.Malpani's Blog: Endometriosis - what's the right treatment ? Endometriosis has always been a tricky problem . 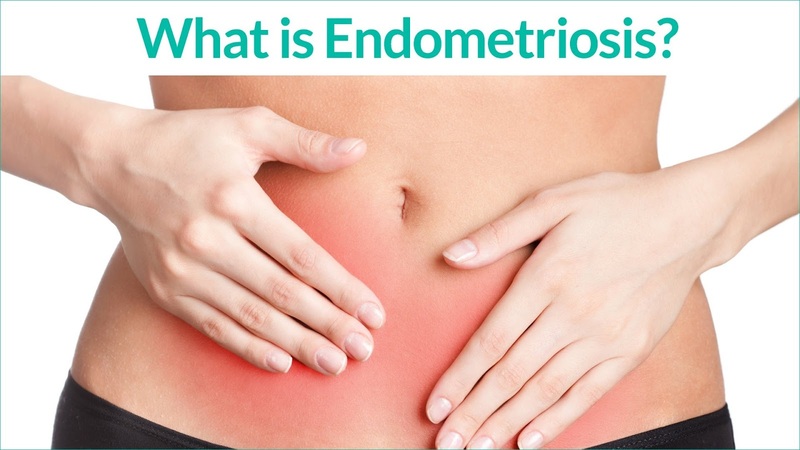 We still don't understand who gets endometriosis ; what causes it; and why there is such little correlation between the extent of the disease and their patient's symptoms. There are still lots of unresolved questions, which is why there are so many controversies about the impact of endometriosis on fertility . This is why patients with endo are so confused about which is the right treatment for them. After all , if doctors are confused , it is highly likely that patients are going to be completely perplexed as well . This is why patients find that they get diametrically opposite advise , depending on which particular doctor they go to. Thus, is a patient with a chocolate cyst goes to a general gynecologist , she is likely to advise medical therapy by putting her on Lupron depot , in order to suppress her menstruation , which will offer her pain relief . If she goes to a laparoscopic surgeon , he is likely to advise laparoscopic conservative surgery , to remove the chocolate cyst. And if she goes to an IVF specialist for a third opinion, he is quite likely to tell her to do IVF so that she can get pregnant quickly , which will cause the symptoms to get better, and will often cause the endo to regress as well. unfortunately they will not tell you the disadvantages of each of their treatment modalities . Thus, while medical therapy will suppress the periods and stop the pain , it will not affect the chocolate cyst , which will remain exactly the same . This means that when you stop the Lupron Depot, the pain will comes back and the adhesions will also remain exactly the same . This means that all you can do with medical treatment is to buy time. Also, Lurpon can be quite an expensive injection , with some nasty side effects , and you can't keep on taking it again and again . While laparoscopic surgery is very good at a removing the chocolate cyst , the surgery cannot stop it from recurring . Again , over enthusiastic surgery will reduce ovarian reserve , because normal ovarian tissue is also removed along with the cyst wall, and this can make the patient's infertility worse. While IVF maximizes the chances of getting pregnant quickly , it is an expensive treatment, and it's better to try simpler options first. This is why the patient's persona; preferences are so important . Patients need to consider three key variables when making a decision. These are: the presence of a chocolate cyst; pelvic pain ; and infertility . Some patients may have all three, and while they are correlated, they each need to be analysed separately. Only those chocolate cysts which are more than 30 mm need to be considered when formulating a treatment plan - and only if this increases in size on serial vaginal ultrasound scans . Lots of cysts can be left alone. Sadly, a lot of the surgery which is done for cysts is completely inappropriate , because patients are scared into signing up for surgery by being told that the cyst may rupture, and cause complications. It's perfectly acceptable to be conservative, and leave an asymptomatic chocolate cyst alone . It cannot be monitored on serial ultrasound scans to see whether it remains the same size, since we cannot predict the natural history of the cyst in patients. Also, surgical treatment does come with a price - that it can reduce fertility; and will also not prevent the cyst from recurring. Medical therapy has no role to play , because it will not cause the cyst to change in size . There are non surgical options for treating the cyst, such as a vaginal ultrasound guided cyst aspiration . This is a simple procedure which can be repeated, but because it does not remove the cyst wall, the cyst can refill quickly, which means it's usually just a temporising measure. A major issue for some patients with endometriosis is pelvic pain, and this can sometimes be chronic and disabling. The priority for this group of patients is relief from their pain, so they can carry on with their life. The third common symptom is infertility, and often the diagnosis of endometriosis is made during the workup for infertility. We need to remember that we need to treat the patient's problems - the reason she came to the doctor in the first place. Thus, if the cyst was an incidental finding during the infertility workup, then the primary focus should be on helping her to get pregnant ,rather than treating the cyst. We should not be treating images on an ultrasound scan - we should be solving the problem for which the patient came to you ! After all the patient doesn't come to you and say, "Hi doctor, I have a chocolate cyst and this needs to be treated." The cyst is diagnosed only after doing a scan, and good doctors only do a scan when the patient has a problem. Thus, if the primary presenting problem is pain, then this is what we need to focus on. This is why the patient's medical history and personal preferences are so important . Doctors need to sit down with the patient , and ask her what her priority is. Thus, her treatment options will vary depending on whether her goal is to be pain-free, or to have a baby. This means that we cannot use a "one size fits all" approach, and the treatment plan needs to be tailored to the patient's needs. Thus, a 5 cm chocolate cyst will be treated completely differently, depending upon who has it. If it's an older patient , who doesn't want to have babies anymore , and whose biggest problem is pain , then removing the ovaries makes a lot of sense , because this will provide her with dramatic pain relief , without any chance of it recurring again. On the other hand if another patient has a 5 cm cyst as well as severe pain, but wants to have a baby more than anything else, then perhaps IVF is the best way to go. Once she has a baby, she will be happy and not only will she be pain-free during her pregnancy , her cyst may resolve as well . If we chose to do surgery first to remove the cyst , she might get some pain relief , but this would also reduce her ovarian reserve and damage her future fertility. As with everything else in life, when there are multiple complex variables involved, it's important to factor all these in before making a decision . It's important for the doctor to understand what is most important to the patient. This require a mature patient , who understands her disease ; who has studied her treatment options; and who is assertive , and is willing to articulate her personal preferences. It also requires an empathetic doctor who is willing to sit down with the patient, explain to her what her options are, and in what sequence they should be done, so she maximizes the benefits of medical treatment. With this approach , it's possible for to have her cake and eat it too, otherwise she may end up damaging her fertility in her pursuit of "treating" a cyst which could perhaps have been safely left alone. It's only when patients are aware of these trade offs that they can make well informed decisions , so that they have peace of mind they have received good quality medical care.